Hello. New to this forum and new to Boxsters. I have a bad immobilizer (got wet) and in the process of taking it out to have it repaired I noticed a splice that didn't look like a factory splice. 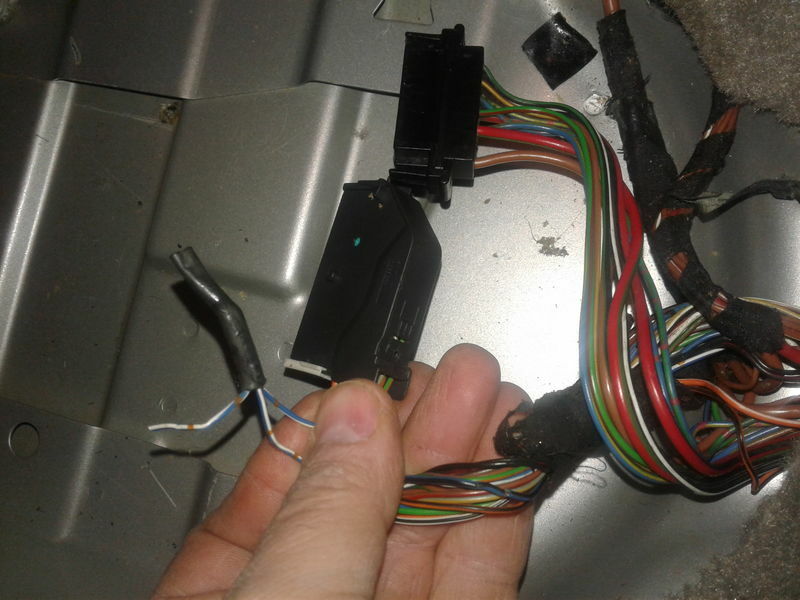 It's on the Blue/White (or White/Blue) wire that also has Brown marks on it. (please see pic) The weird thing is that the other leg of the splice ends there, not connected to anything. It looks like it's been cut and I couldn't find anything close enough for it to connect to. If anybody knows what this circuit is for and why on Earth anyone would splice to it and then cut it off, I would greatly appreciate any enlightenment. I know it's probably a long shot, but if anyone would know, it would be someone on this forum. Last edited by piper6909; 03-10-2019 at 06:22 PM. Blue/White/Brown, immobilizer pin A32, door locked passenger. Would that be a factory splice? Where is the open end supposed to go? Interesting that the open end is the same color as the main branch, which leads me to believe that it could be a factory splice, but the splice itself doesn't look factory to me. If it's not a factory splice, what could anyone possibly splice into it?